Bangkok is one of the most sought-after tourist destinations in Southeast Asia, a true pearl of culture, entertainment, ancient Thai history, and modern cosmopolitan chic. But while Bangkok certainly has its share of exciting charms, you probably weren’t aware that there are some equally amazing places just a few hours outside of this bustling metropolis. In more recent years, these sites have become part of a burgeoning niche historical tourism market that’s growing in leaps and bounds in Thailand. 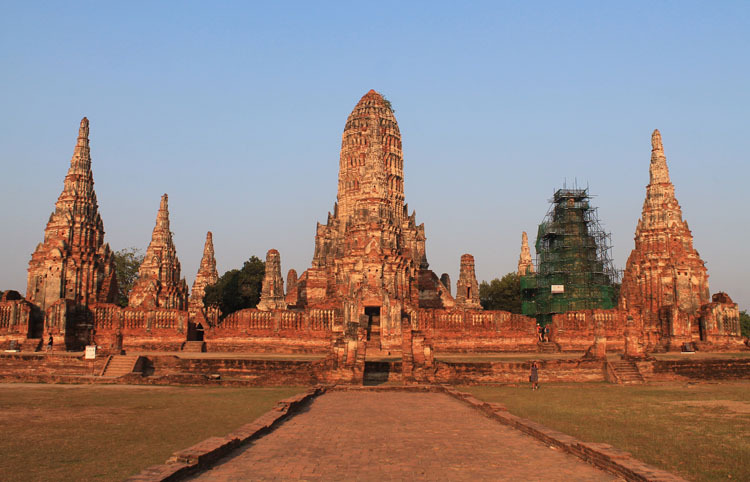 Much of the medieval city of Ayutthaya – which served as the capital of Thailand (formerly Siam) between 1350 – 1767 – lies in ruins. In any event, it’s worth taking a trip out here, which is a short hour’s train ride from Bangkok. Kanchanaburi is directly in the heart of where three rivers meet. It’s a peaceful paradise of lush green forests where you can relax and enjoy Thailand’s tropical splendor. Here’s an interesting fact about Kanchanaburi: the city’s famous bridge is the centerpiece of the iconic French novel, The Bridge Over the River Kwai. 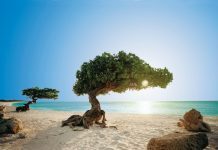 Since Koh Samet is located almost five hours southeast of Bangkok, you might want to consider this beautiful tropical island as an overnight destination. 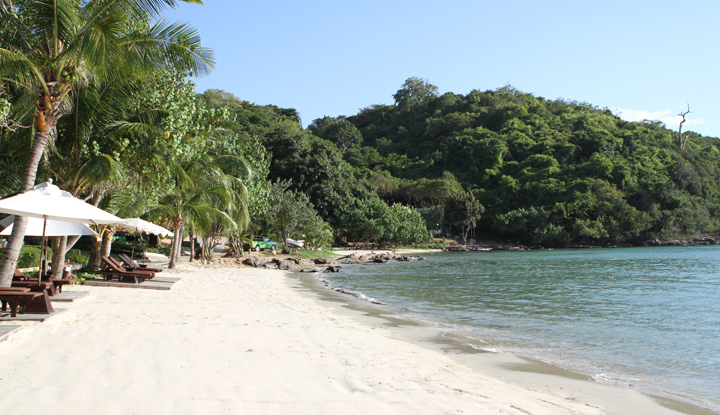 Koh Samet truly personifies Thailand’s world-famous beach culture. Here, you can enjoy the serenity and natural beauty of Thailand’s beaches without having to wade your way through the frenetic, pulsing party culture that exists in nearby Koh Lanta and Pattaya. The best way to get to Koh Samet is by taking a bus and then a ferry boat from Victory Monument. The rich and fascinating Buddhist culture and history of Thailand is a major tourist draw in and among itself. 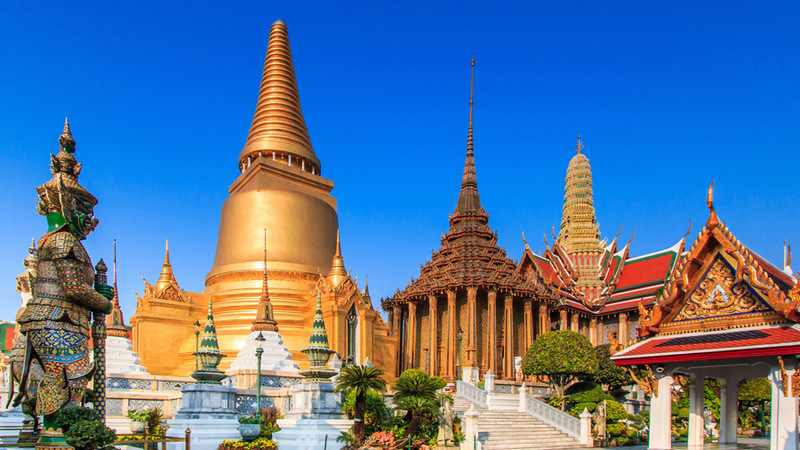 Each year, tens of thousands of visitors flock to Wat Phra Kaew, which is located in the historic Phra Nakhon District just outside of busy downtown Bangkok. Wat Phra Kaew translates in English to Temple of the Emerald Buddha. It is one of the oldest Buddhism sites in Thailand. Legend has it that the Buddha image located inside the temple was brought to the country from India. 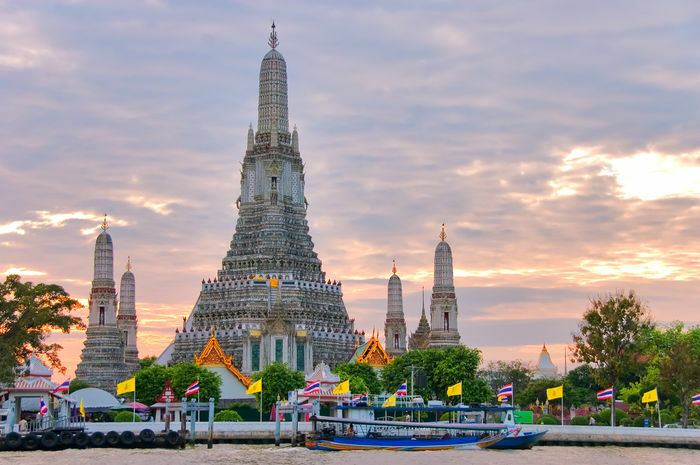 Located on the west bank of the Chao Phraya River on the western fringes of Bangkok, Wat Arun is a piece of the country’s ancient Hindu heritage, as the temple’s name is derived from the Hindu god Aruna. One of Thailand’s best-known landmarks, its origins date back to the 17th Century. If you happen to be there in the morning, you’ll see the first light of the day reflecting off the outside of the temple, which gives it a shining iridescent look. You’re bound to run into some of your fellow countrymen in this resort-type area located just over four hours southwest of Bangkok. It’s a gathering place for western expats and also a popular tourist destination for vacationing families. If you seek a secluded, less built-up beach, Hua Hin is probably not the best place for you. 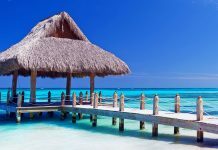 In recent years, the three-mile strand of pristine beach has become quite westernized, with endless hotel chains and restaurants making their presence known. While Hua Hin isn’t the most scenic place in Thailand, the green hills overlooking the resort town give it a touch of class, as to the row of Buddhist statues that glow orange in the sunset. Known as Elephant Island due to the small population of the massive beasts that still live there, Koh Chang is only second to Thai islands after Phuket in size. If you’re looking for a great island escape near Bangkok, you can’t go wrong with Koh Chang. There is a nightclub and beach party scene here that’s immensely popular with expats. 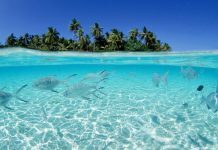 At one time, this island paradise was one of the most popular backpacker destinations in southeast Asia. Like other once – tranquil beaches scattered throughout Thailand, in recent years Koh Chang has succumbed to high-end development. That being said, there are still a number of isolated beaches along the island’s coast where one can enjoy the ocean or simply relax in a hammock. The most common way to reach Koh Chang is by boat. You can also take a one-hour flight from Bangkok to Trat Airport, which is just off the coast of Koh Chang. From there, take the ferry across.